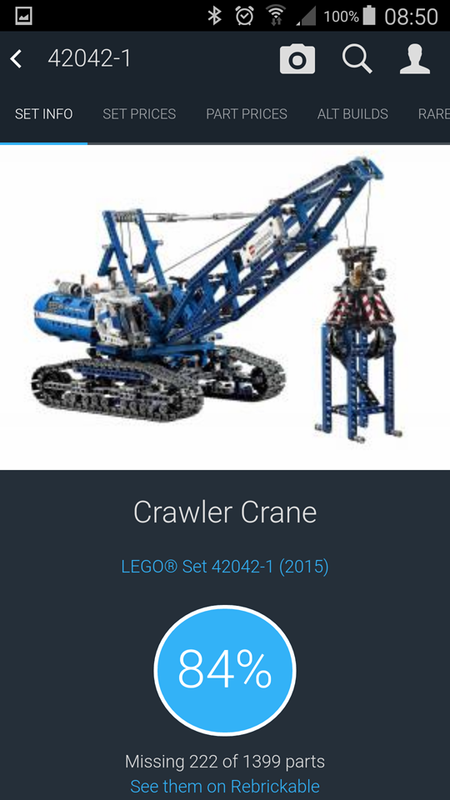 These apps use the Rebrickable API to get access to our comprehensive LEGO database. If you have created an app that uses our API, please let us know and we will add it to this list! Simply scan the bar code on a LEGO® box and see a wealth of information to help you decide if you should buy it. Rebrickable analyses your LEGO® collection so you can find new sets that best compliments your existing parts. What % of parts in the LEGO® set do you already have in your collection? Maybe you already have the parts to build it! Check the LEGO® prices at other known stores for comparison. Find out how much the individual parts are worth, based on average market prices. See fan made creations (MOCs) that use the parts in this set, all with full building instructions. You might like them even more than the official build! Get a list of rare LEGO® parts in the set. Very handy if you like to have as complete a collection as possible, or maybe to build your LEGO® investment portfolio! Which parts are the most valuable - based on current market prices. Find out what else you can build if you buy the set - there are thousands of LEGO® sets and MOCs in the database, all with full building instructions. Manage your collection and your wanted list. Brick Data use web services provided by Brickset.com and Rebrickable.com. The App is written entirely in Swift, the new programming language created by Apple. I enjoy building with Lego, and I am sure you do as well, but even if you have organised your collection, there are times you may have problems with remembering where the element you are looking for is. That is where Reinstructable comes into play, Powered by the database developed over at Rebrickable www.rebrickable.com, this app will pull in the sets you own and allow you to specify the location in a Bin/Drawer system. No longer will you search for that missing piece, unless you have truly lost it, psst.... Its under the couch. Do you love Lego? Do you love his magic? You can't miss Enjoy Brick!